If you’ve invested in a new motorcycle, jet ski, or ATV, you want to be sure that it’s protected from the elements. 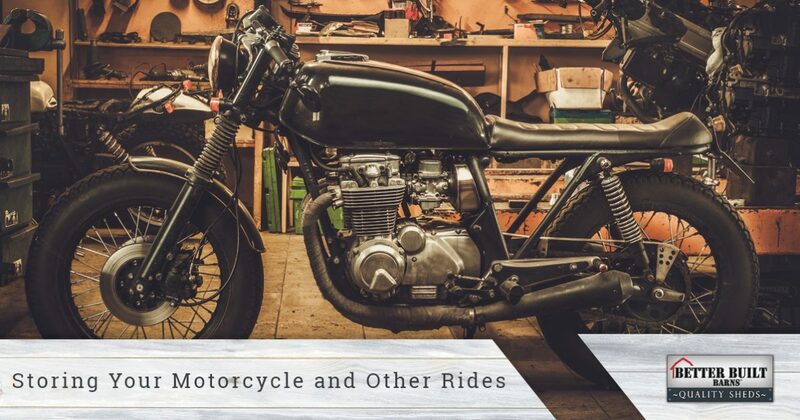 You might take your motorcycle out on the road a few times a week, and your other rides even less often, and when you’re not in the seat you need somewhere to store them. You may not have the space in your garage to keep them, and you definitely don’t want to leave them outside where they will be exposed to wind and weather. At Better Built Barns in Washington, we can create a custom garage that is perfect for your recreational vehicles. One of the most convenient aspects of your garage is the automatic roll-up door. It makes leaving for work and coming home at the end of the day much easier, and it makes sense that you would want the same feature in your custom garage. We can add a five-foot, six-foot, or eight-foot roll up door to your new structure, and you’ll love how easy it is to take your bike out for a ride and close the door behind you. We can discuss installing an automatic door opener and whether or not it makes sense for your building. 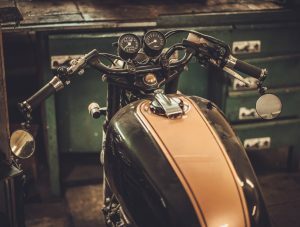 If you enjoy working on your motorcycle on a regular basis, you want to have an indoor spot where you can take things apart and put them back together. One of our custom buildings can be the perfect shop, and you can house your tools, hoists, and everything else you need to work on your vehicles. Instead of laying in the driveway or working on the dirt, you can install a shop floor that’s easy to move around on and easy to clean. During the summer, you might have your motorcycle and other vehicles on the road or trail every week, but once fall arrives, you begin thinking about winter storage. While renting a self-storage unit can be an option, wouldn’t it be better to keep your vehicles close by? The cost of your new custom garage will more than likely be more affordable than paying for a few months of storage every single year; plus, if you want to work on your rides during the winter, you can! What’s great about our custom building options is that you can design it to look however you want. We offer a number of options for doors, windows, roofs, and floors, and you can pick out the features that match your home or that will make your new garage truly unique. Above all, we want you to be happy with your new building and be able to use it for years to come. If you’re interested in building a custom structure for your motorcycle, jet ski, or other recreational vehicle, contact Better Built Barns today. We’re proud to serve Washington and look forward to working with you!